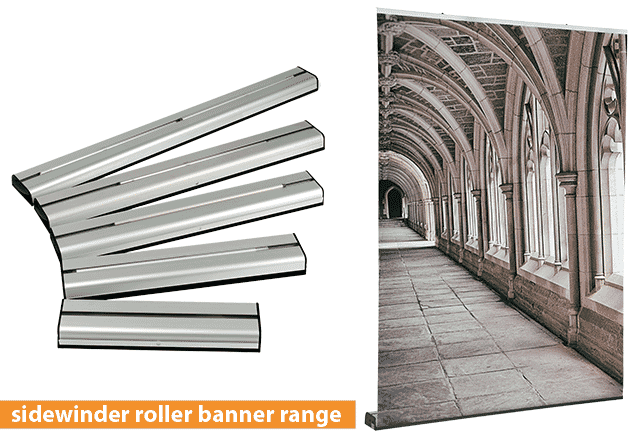 Roller banners are an ideal accessory for any photographer or photographic business. A roller banner can provide a perfect backdrop; created to how you want for the individual shoot. To name but a few, the only limits would be your imagination with the types and varieties of backdrops that could be created. Using a roller banner really can help you capture that classic “Kodak moment”. Making photographic memories that last a lifetime. So, what now? You want to set a backdrop, but not sure which roller banner would be best? In short, the best banner to use for this type of use would be a wide format roller banner. There are many options open to you, and it can be a bit of a mine field when trying to decipher the best type and style, compared to ease of use and of course, the all important factor, cost! 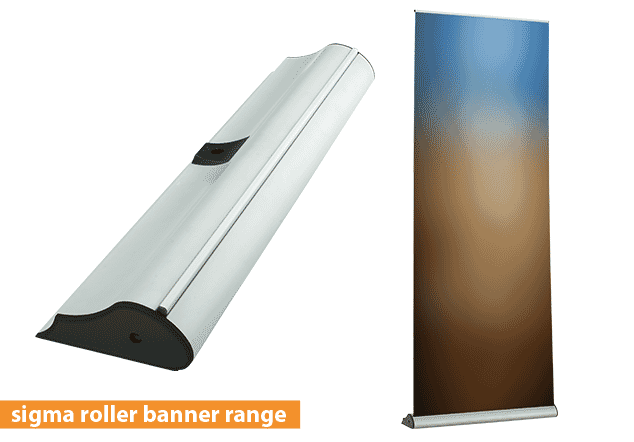 Wide format roller banners are anywhere between 1000mm (1m) wide up to 1500mm (1.5m) wide. To simplify it more, here is a run down of the Plex wide format banners that are available to you. So, why not use a roller banner in a photo-shoot today? 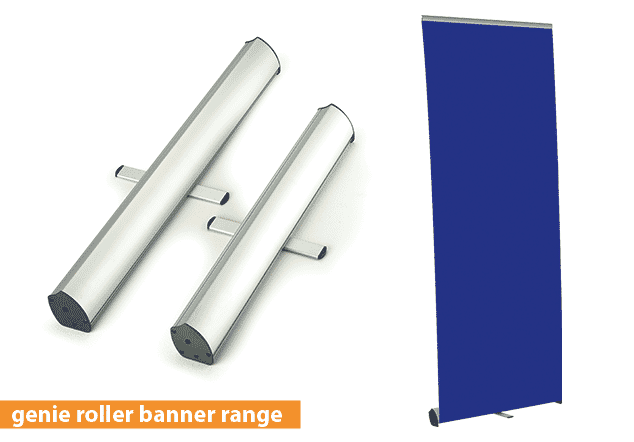 As you can see we have a wide choice of roller banners and size options open to you, be it the narrow sized versions, standard size of large format size. 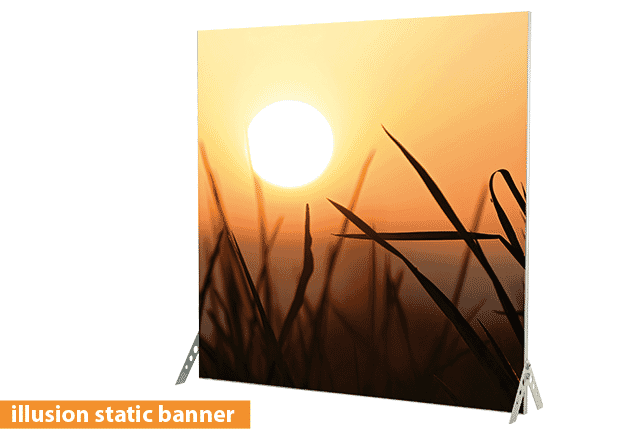 Our entire banner range are stock items, so available for next day delivery if ordered before 4pm. 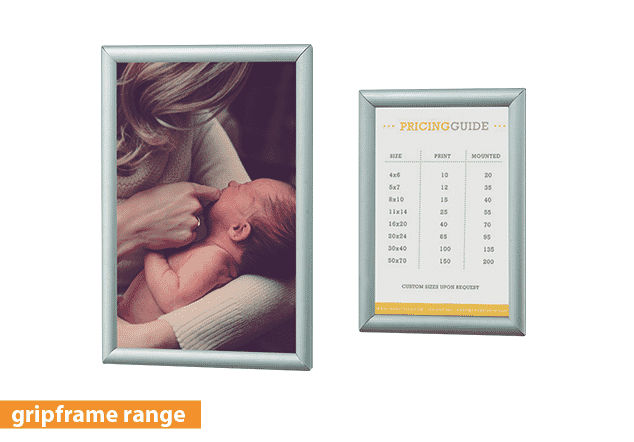 Why not showcase your prices, availability and work projects by presenting them in a gripframe? Why not take a look at our popular Illusion below?